It’s been a rather quiet week on the non-fiction front. The biggest new to hit the net was the announcement that The Dissolve, a reliably astute source of online film criticism that was often linked to here, has digitally closed up shop after just two wonderful years. 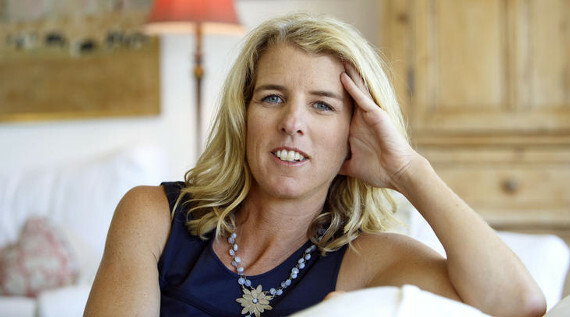 It was also revealed that the Academy of Motion Picture Arts and Sciences has elected its 2015–16 Board of Governors, among them LAST DAYS IN VIETNAM director Rory Kennedy. She’ll sit alongside Alex Gibney and Kate Amend as part of the Documentary branch. After the story broke on Friday, Rebecca Keegan of the LA Times reported on how the new elections continue to shift the demographics of the Academy. Festival-wise, the 2015 Outfest Los Angeles LGBT Film Festival kicked off – both David Hudson (at Keyframe) and Basil Tsiokos (at What (not) To Doc) previewed the festival’s non-fiction offerings. Tsiokos also gave an outline of the non-fiction fare at the 32nd edition of the Jerusalem Film Festival which began on Thursday. According to Daniel Estrin in The Washington Post, late filmmaker Herz Frank and Maria Kravchenko’s BEYOND THE FEAR, “which profiles Yigal Amir, who assassinated Prime Minister Yitzhak Rabin in 1995, and his tabloid-fodder wife” has caused a “firestorm over the film’s compassionate look at his family broke out in the lead-up to its Israeli premiere”. While Asif Kapadia’s AMY screened out of competition at Karlovy Vary International Film Festival, stateside its theatrical run expanded substantially, gleaning additional coverage from Ann Hornaday in The Washington Post, Chicago Tribune’s Michael Phillips, Christopher Campbell at Nonfics and Jeff Reichert at The Talkhouse. Filmmaker Magazine’s Howard Feinstein and Amy Taubin in Artforum both reviewed the doc, while at Movie Mezzanine, Christina Newland regards the film warmly while considering the delicacy in piecing together a musical martyr, finally deciding that “Kapadia’s film is an honest, maybe necessarily imperfect vision of Amy, colored with warmth and humanity”. Michael O’Sullivan also interviewed Kapadia about the film for The Washington Post. Like AMY, Matthew Heineman’s CARTEL LAND is in the midst of a theatrical release expansion, but just screened at the 37th Moscow International Film Festival, ultimately winning the Best Documentary Award, according to Kevin Ritchie at Realscreen. In addition, Vulture published an article by Jada Yuan on the six most insane stories from shooting the film, Michael Phillips reviewed the film in the Chicago Tribune and Carolina A. Miranda interviewed Heineman for the LA Times. Over at WNYC, Raphaela Neihausen and Thom Powers selected David Thorpe’s DO I SOUND GAY? as the Doc of the Week. In limited release and available on VOD, the film was reviewed by Variety’s Andrew Barker, The New York Times’ Stephen Holden, LA Times’ Gary Goldstein and Odie Henderson at RogerEbert.com. In one off articles, Tom Roston reigned supreme this past week, placing a spotlight on Jessica Oreck and her shamefully overlooked feature from last year, THE VANQUISHING OF THE WITCH BABA YAGA, at Doc Soup. It turns out that, despite the high praise she’s received (including from me here, here and here), she’s sadly “stepping away” from the film world out of frustration after failing to find distribution for her latest work. Other pieces saw Neil Genzlinger write about Dean Hargrove’s TAP WORLD in The New York Times, Paul Lazarus profiled his own upcoming film SLINGSHOT for Indiewire, Slate’s Aisha Harris posted a new video featurette featuring Joshua Oppenheimer speaking about THE LOOK OF SILENCE and Max Goldberg wrote at length about Bill Brown and Sabine Gruffat’s SPECULATION NATION at Keyframe. Robert Abele also reviewed Les Blank’s recently rediscovered A POEM IS A NAKED PERSON in the LA Times, while Michael Cavna reviewed Dana Nachman’s BATKID BEGINS for The Washington Post. For those currently developing their own docs, Orly Ravid wrote an outline of legal advice for filmmakers wondering about the legality of fair use, life rights and more over at Indiewire. The 2015 Women In Film Finishing Fund also announced this week that they are now taking applications for grants here. Their early bird deadline is July 24, regular deadline is August 7 and winners will be notified November 30. Vitor Pinto of Cineuropa reports that The Netherlands Film Production Incentive has revealed 28 new projects being supported by them, including 11 new documentary features. And speaking of The Netherlands, IDFA’s entry deadline of August 1 is nearing. Even closer is the final film submission deadline for DOC NYC. The cutoff is this Friday, July 17 – submit here. Lastly, a trio of short docs popped up online this week. Shipra Harbola Gupta linked to a Super 8 making-of INHERENT VICE short by Laura Colella, titled CHRYSKYLODEN BLUES, at Indiewire. The New York Times posted Dennis Overbye, Jason Drakeford and Jonathan Corum’s FAST AND LIGHT TO PLUTO, which primes us for July 14, on which “the New Horizons spacecraft will zip past Pluto and its five known moons. Nobody really knows what it will find”. And finally, Grantland published a new 30 for 30 short titled SPYBALL, directed by Christina Burchard and Daniel Newman.